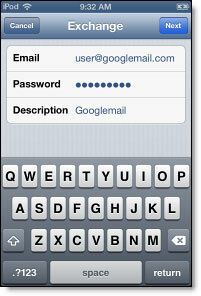 The following steps will walk you through how to set up your Google Apps Business email on your iPhone. 1. From your springboard, go into Settings. Open Mail, Contacts, Calendars. 4. 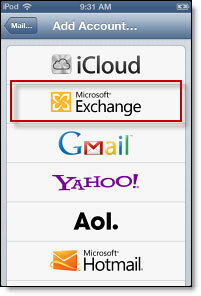 Enter your full Google Account email address, your password, and a general description of the email account (this is only for your preference so it can be left blank). Press Next. 5. 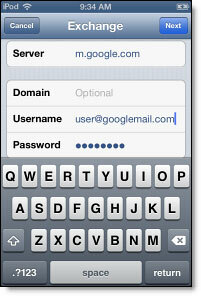 Enter your server name m.google.com, the username which is your full Google Account email address, and password. Press Next. 6. 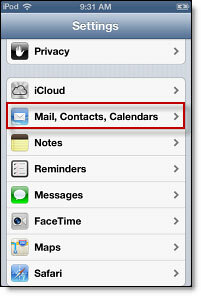 Make sure that Mail, Contacts, and Calendars are turned ON. Google Sync is setup! 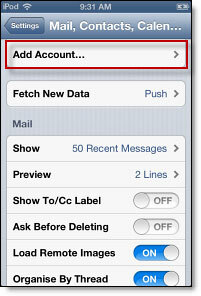 Synchronization will being automatically if you have Push enabled on your device. 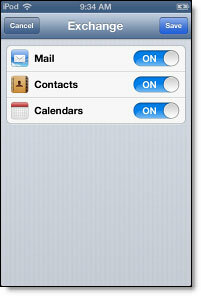 You can also open the Mail, Calendar, or Contact app and wait a few seconds to start a sync.